Located in the desirable Belmont Hills, this home is situated on a spacious corner lot with complete privacy, including a gated front yard. Remodeled from top to bottom, the one-level floor plan is unified throughout with fine hardwood floors, crown moldings, recessed lighting, and plantation shutters in the bedrooms. The layout is an open design with formal living and dining areas, a family room, plus a chef's kitchen, all flowing seamlessly together. The centrally located living room invites everyday living, as well as media enjoyment with its space for a flat screen television about the fireplace plus surround sound speakers. Indoor/outdoor living is a feature of the home's design with sliding glass doors in the family room to the wraparound yard and patio. Whether entertaining or preparing daily meals, the remodeled kitchen is certain to be a chef's delight with custom cherry cabinetry and ample room for friends and family to join in at the breakfast/wine bar. The home's personal accommodations are in a separate wing with 3 bedrooms and 2 remodeled bathrooms, including a master suite. Completing this classic home is the outdoor setting with fresh landscaping, level lawn, and patio areas that are perfect for recreation and entertaining. 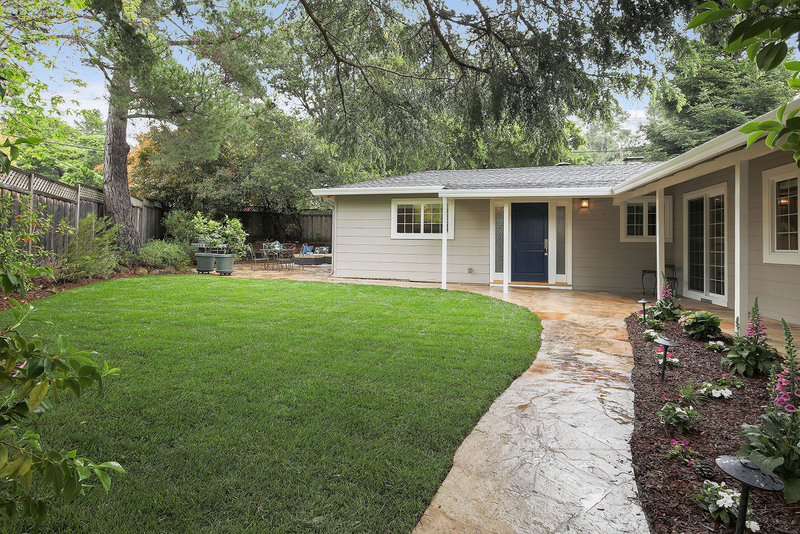 Toping it all off, this home has access to highly acclaimed Belmont schools, just one-half mile or less away, and s only minutes to Highway 280 for easy commuting to San Francisco or Silicon Valley.